Air Requirement: 0.6 cu ft. 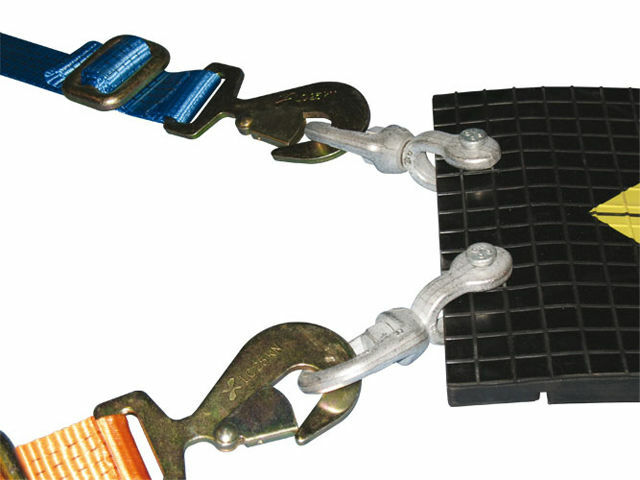 Reliable sealing of large areas. Choose our convenient solution with practical swivel eyes! 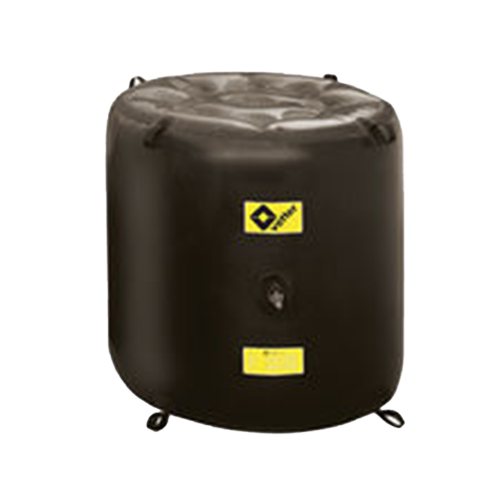 Every minute counts when hazardous liquids escape from tanks, pipes or drums. 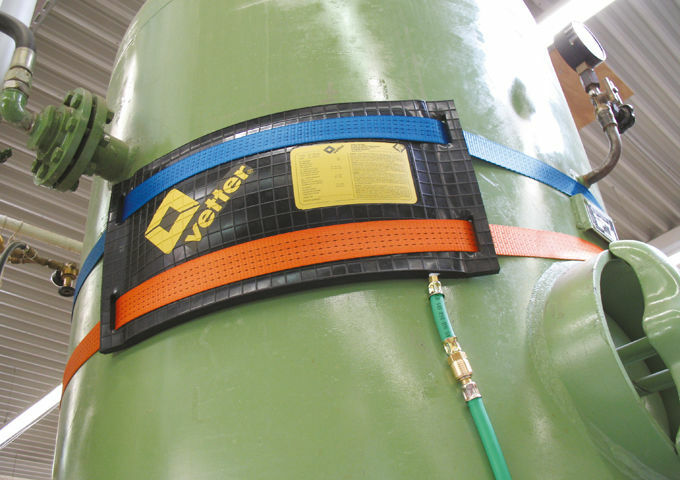 Vetter leak sealing bags are quick and easy to inflate using a foot pump. 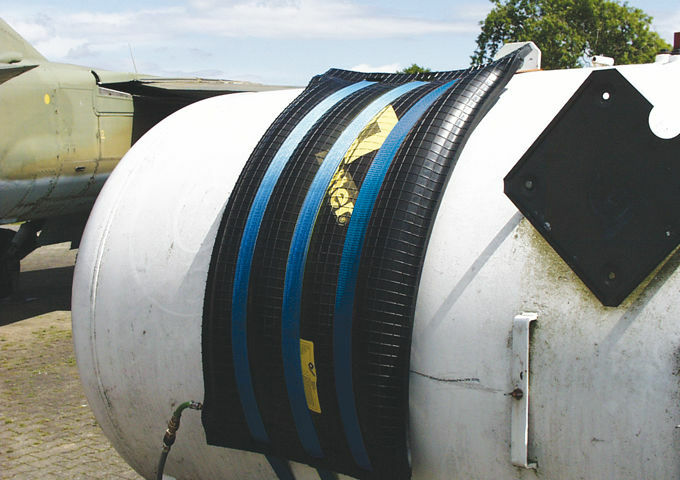 Thanks to even pressure distribution, the structures around the liquid discharge area are protected and the danger that the leak gets bigger is reduced. 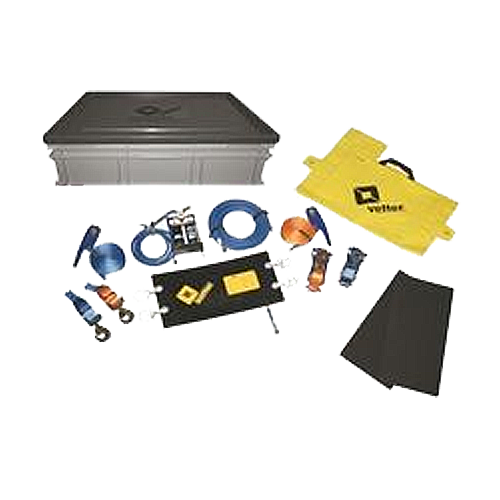 All leak sealing bags come with a heavy-duty acid protection cover. Thanks to a pre-fabricated belt slots, the cover does not need to be removed during use or storage. 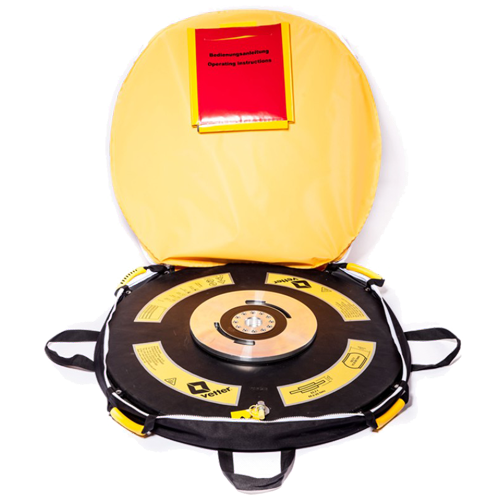 The protective cover has an extra belt pocket, so you always have the right tools ready to hand. 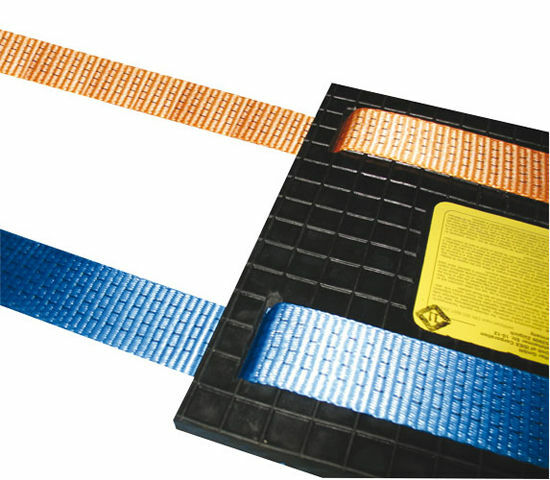 Extend the life of your leak sealing bags by using the supplied sealing plates for sharp-edged leaks.